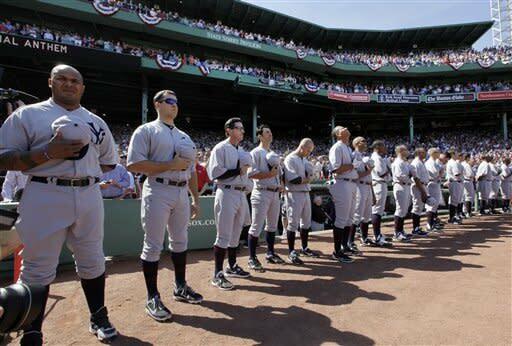 BOSTON (AP) There was no number 13 on the back of the grey throwback jersey to identify who was wearing it. There was no mistaking the swing. The home run swing of Alex Rodriguez. The New York Yankees slugger cleared the fences for the 631st time, passing former teammate Ken Griffey Jr. to take over fifth place on the career list. A-Rod helped beat the Boston Red Sox 6-2 Friday and spoil the celebration on the 100th anniversary of their first game at Fenway Park. It was for the Yankees. Eric Chavez hit two homers and Nick Swisher and Russell Martin connected once each one day after Curtis Granderson hit three of the Yankees' four homers in a 7-6 win over the Minnesota Twins - and exactly 100 years after the Red Sox beat the Yankees' forerunner, the New York Highlanders, 7-6 in 11 innings. Jeter also moved up a rung in the record books with his 3,111th hit. He went 1 for 5 and passed childhood idol Dave Winfield for 18th place. Ivan Nova (3-0) won his 15th consecutive regular-season decision, allowing two runs on seven hits with no walks and five strikeouts in six innings. Clay Buchholz (1-1) allowed all five homers in losing for the first time in 12 starts, although he went on the disabled list to stay last June 19 with a lower back strain. 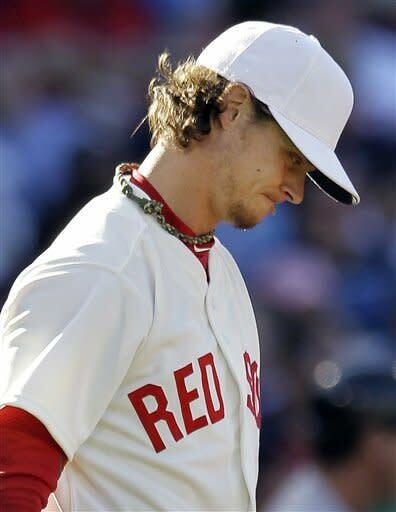 Josh Beckett also served up five homers in the Red Sox second game of the year, a 10-0 loss at Detroit. Both teams wore throwback uniforms similar to those used in Fenway's first major league game. The Red Sox had off-white uniforms and caps, with the only printing on either being the words ''Red Sox'' in red across the chest. The Yankees uniforms were all grey with the only printing the letters ''NY'' on the caps and left breast. 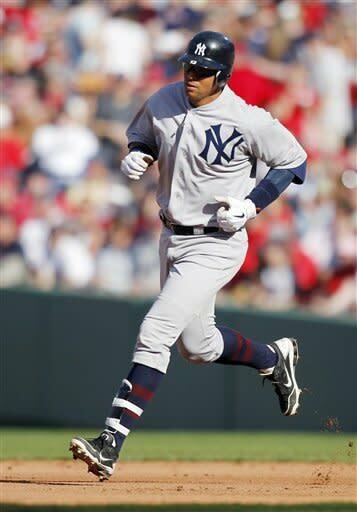 It is believed to be the first time the Yankees have worn throwbacks. The Red Sox lost their fourth straight game, a span in which they've been outscored 31-8. 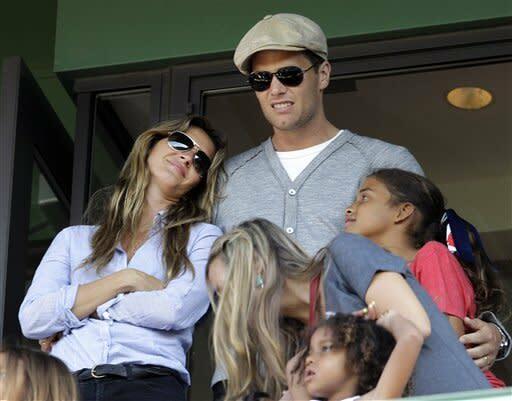 Some outstanding players took the field for the Red Sox. Unfortunately, most of them were among the about 200 retirees who strolled to their positions during pregame ceremonies marking the anniversary. They included Hall of Famers Carl Yastrzemski, Carlton Fisk, Jim Rice, Bobby Doerr and Dennis Eckersley plus Pedro Martinez, Luis Tiant, Nomar Garciaparra, Mo Vaughn and Johnny Pesky. 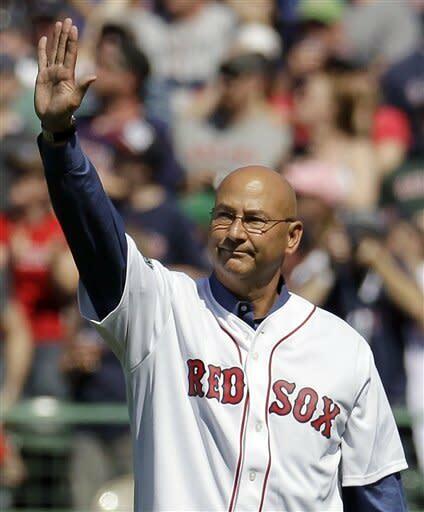 Terry Francona, let go as manager after last year's September collapse that cost the Red Sox a playoff berth, received one of the loudest ovations. Valentine has been booed several times by the home crowd as the Red Sox (4-9) have gotten off to another slow start after opening last season 2-10. Buchholz's beginnings haven't been good, either. He allowed four runs in each first inning of his other two starts. On Friday, he gave up only one run in the opening inning. But by the time he left after walking Granderson to lead off the seventh, he had allowed six runs on nine hits and two walks with just two strikeouts. The Yankees led 1-0 three batters into the game. 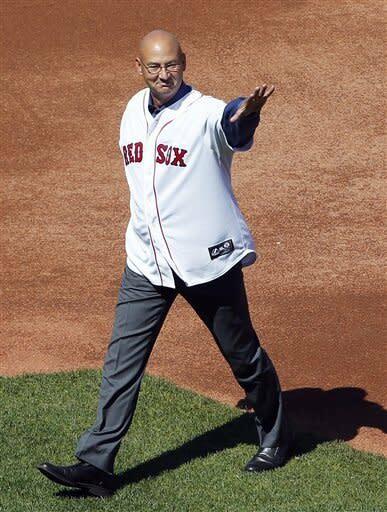 Jeter reached on an error by second baseman Dustin Pedroia, who lost his popup in the sun. Jeter moved up on a wild pitch and scored on Rodriguez's single. They needed only three batters again to take a 3-0 lead in the second. Swisher led off with a homer, Raul Ibanez grounded out and Chavez drove an 0-2 pitch into Boston's bullpen in right-center. Chavez had only six at-bats before Friday, when he played third base while Rodriguez was the designated hitter. ''''I relish anytime I get put in the lineup,'' Chavez said. David Ortiz cut it to 3-1 leading off the second with his second homer. The Yankees stretched their lead to 5-1 on leadoff homers by Chavez in the fourth and Rodriguez in the fifth. They were the second homers of the year for both. Rodriguez needs 29 homers to catch Willie Mays for fourth place. The Red Sox made it 5-2 in the fifth when Cody Ross doubled and Mike Aviles was credited with a double when Swisher lost his fly ball to right in the sun. Martin homered in the sixth. NOTES: Freddy Garcia (0-1) pitches for the Yankees against Felix Doubront (0-0) on Saturday in the second game of the three-game series. ... The Yankees had nine homers in their previous four games, all against the Twins. ... Boston's Ryan Sweeney hit safely for the 10th time in his 11 games. ... Nova won for the first time in four starts against the Red Sox. He began the game 0-2 with a 6.62 ERA in those games. ... Friday was the 73rd anniversary of Ted Williams' major league debut. ... Yankees LHP Andy Pettitte allowed two earned runs on four hits in five innings of an extended spring training game in Tampa against players from the Pirates organization. He struck out five and walked none.